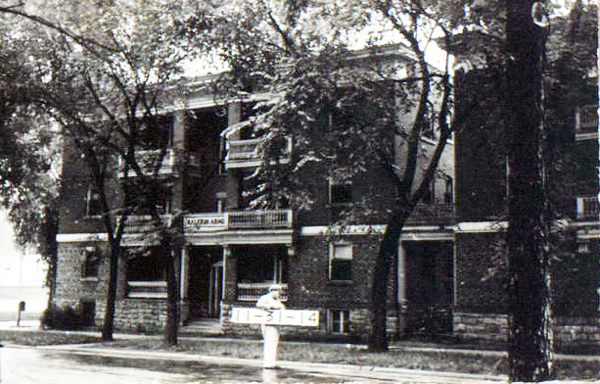 Do you remember this block of Gillham and 33rd Street? In a 1909 advertisement in the Kansas City Star, they touted the address in the fashionable Hyde Park district, close to Westport High School and the Hyde Park school. Raleigh Arms consists of 18 apartments of 5 rooms each. All finished in mission oak and white enamel with best electric and gas fixtures, including electric dome in the dining room; fireproof safe for valuables; locked outside rooms for ice boxes; large china closets in kitchen; laundry with stationary tubs; stoves and patent hot air dryers; private lockers in basement; awnings, screens, etc. $40. The building, recently renovated by MAC Properties, is part of the block we’re focusing on this week, just east of Costco and Home Depot. When the block of East 33rd, Gillham and Gillham Plaza developed around the turn of the century, it included single family homes, neighborhood-level businesses and the luxury apartment building. 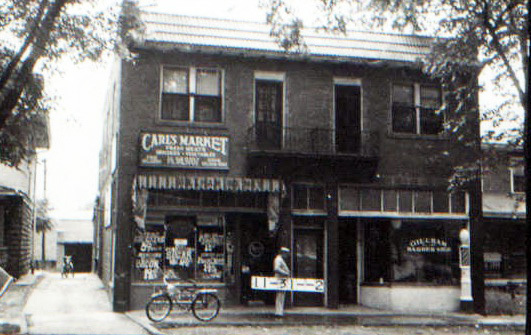 In a set of photos from 1940 (see slideshow below), Gillham Road in 1940 housed several local businesses including the Nu Charm Beauty Shop, Carl’s Market and a barber shop. On 33rd Street, the Adelphi Garage still looks much as it did 75 years ago. That street also had an “electric shoe repair shop” in 1940. Uncovering History Project, the Midtown KC Post is taking a look at the 1940 tax assessment photos of each block in Midtown. 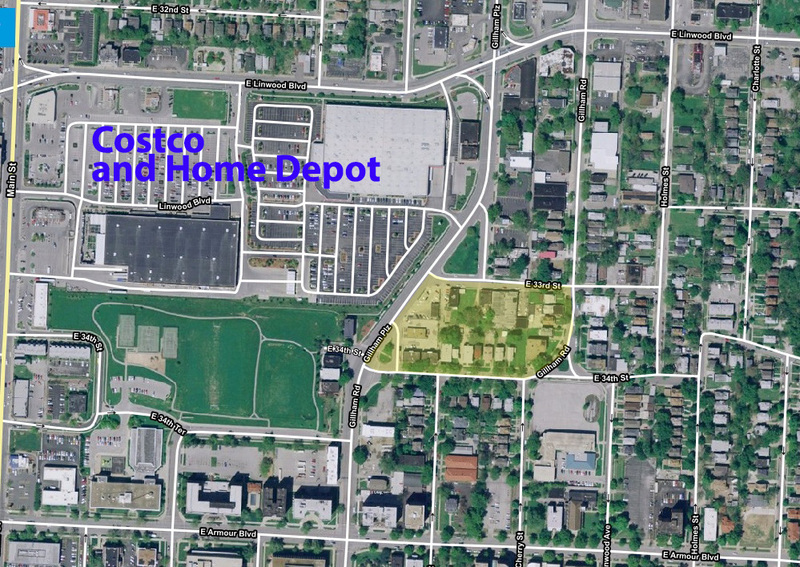 This week we’re focusing on the block from 33rd to Gillham and Gillham Plaza. (Many people seem confused by the tax assessment photos, which all include a man holding a sign. Here’s the story behind them). Do you remember this block? What special memories do you have of this section of Crestwood? What questions do you have about it? Let us know and we’ll share your history and help to preserve it on our website as part of our Uncovering History project. A 1909-1950 fire insurance map shows the buildings on the block. I lived at Georgian Court in 1960, then in an apartment at 221 E. 34th St. until 1964. Walked to 39th & Main and 34th & Troost to shop and to Armour & Broadway to work. Fazzino’s was on the corner of 34th & Gillham, first a meat market(? ), then a bar. There was a restaurant in Georgian Court and a drugstore in the hotel on the opposite corner of Armour & Gillham. Many memories of those first days in Kansas City. I lived at Georgian Court, then 221 E 34th St. from 1960-1964. Fazzino’s was on the corner of 34th & Gillham, first a meat market(? ), then a bar. There was a restaurant in Georgian Court and a drugstore in the basement of an apartment building on the opposite corner. I walked to work at Armour & Broadway and walked to shopping at 33rd & Troost and 34th & Main. Lots of good memories of first moving to Kansas City. These are great stories! Do you remember how much your rent was? Did you work nearby? Not sure. It was a long time ago. Thinking it was $80 a month. I worked at KCLife, still a beautiful building.